I don’t normally do two recipe posts in one week but I’ve had this one in the bank and since I’d like to only post pictures of my awesome NEW kitchen, I thought I’d get this guy out of the way. 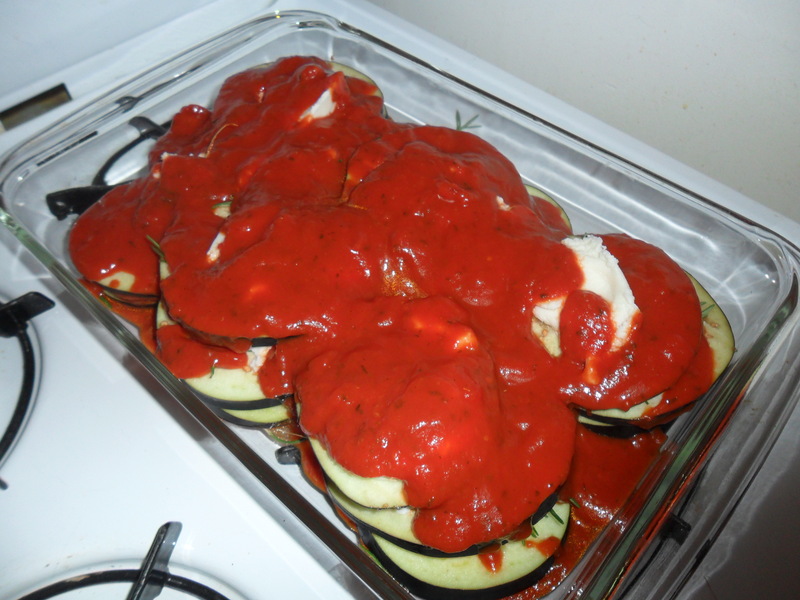 I thought I was making eggplant parm, but when I actually started assembling it I realized I was more making a lasagna with eggplant instead of noodles. 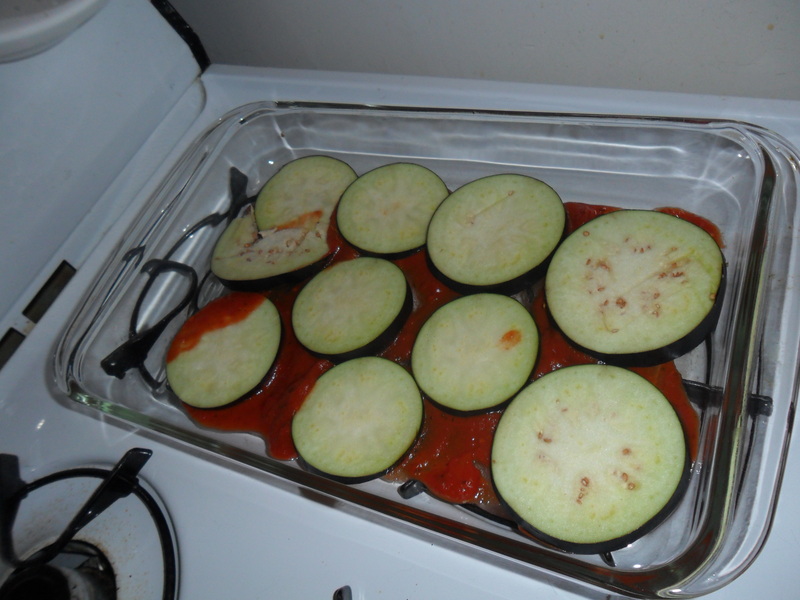 But it wasn’t exactly lasagna either… so I ended up making this cool eggplant parm / lasagna hybrid. 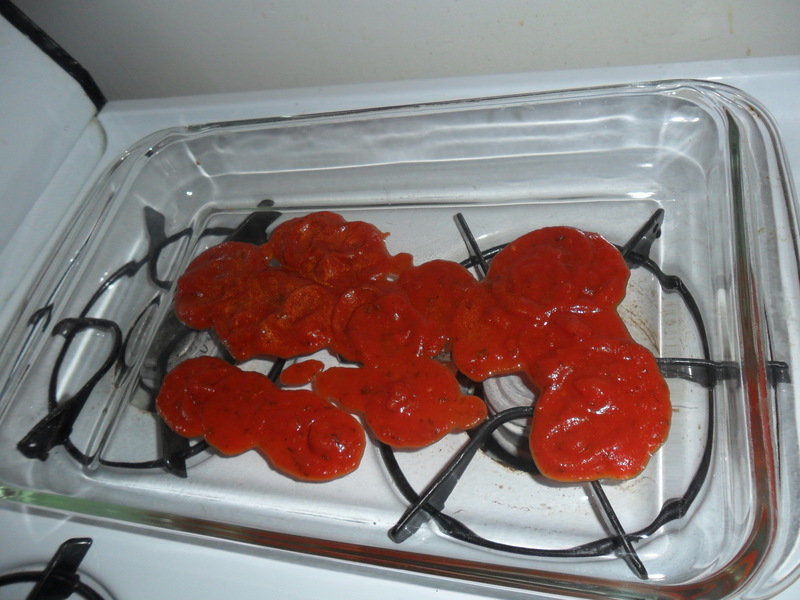 I didn’t use a recipe for this, so I’ll provide a little more detail than usual. 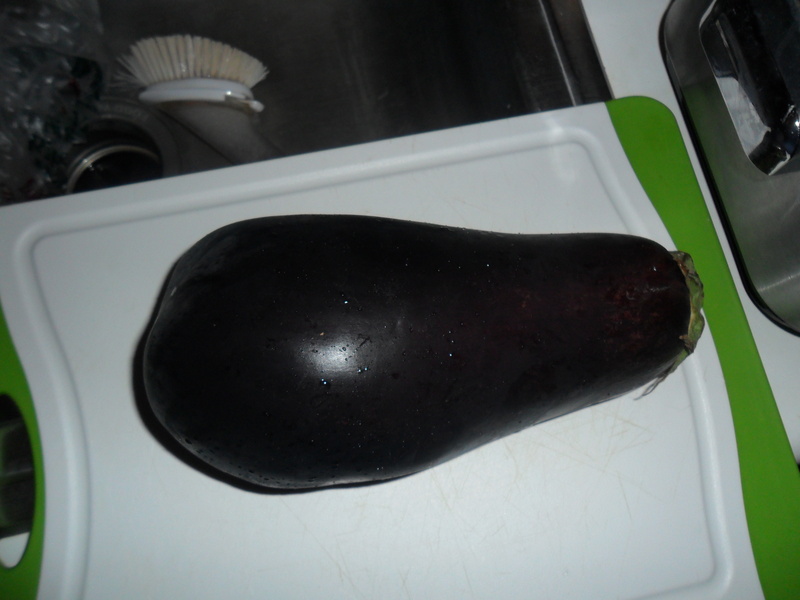 First I sliced up a whole eggplant. 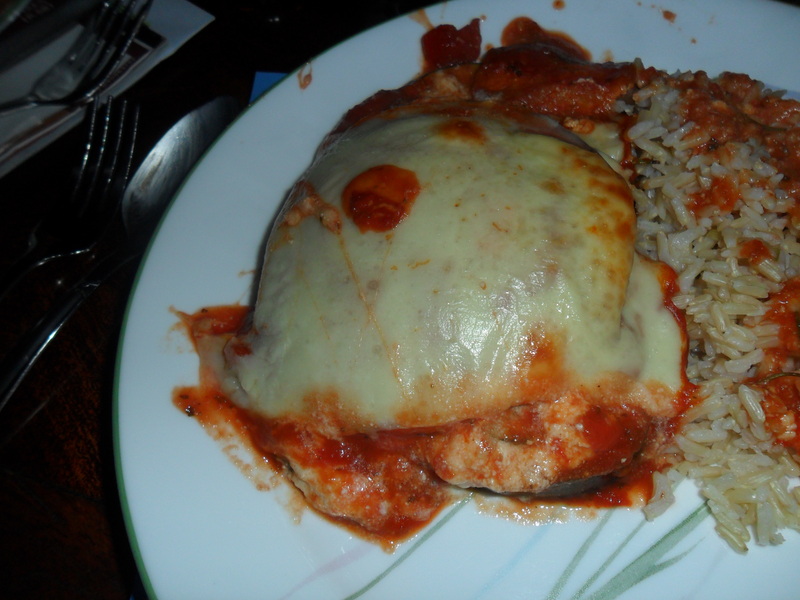 In retrospect, I should have maybe pre-cooked the eggplant a little in some boiling water and removed the skin. 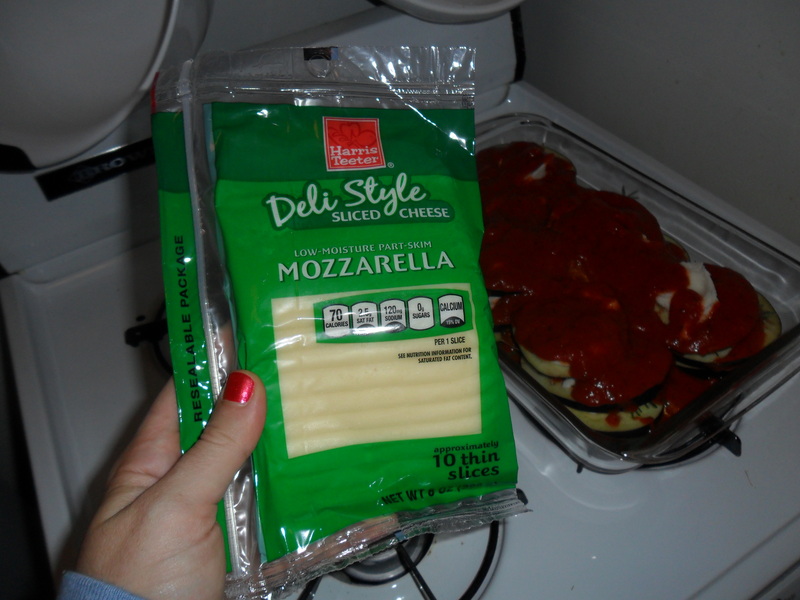 But that’s a texture preference on my end. 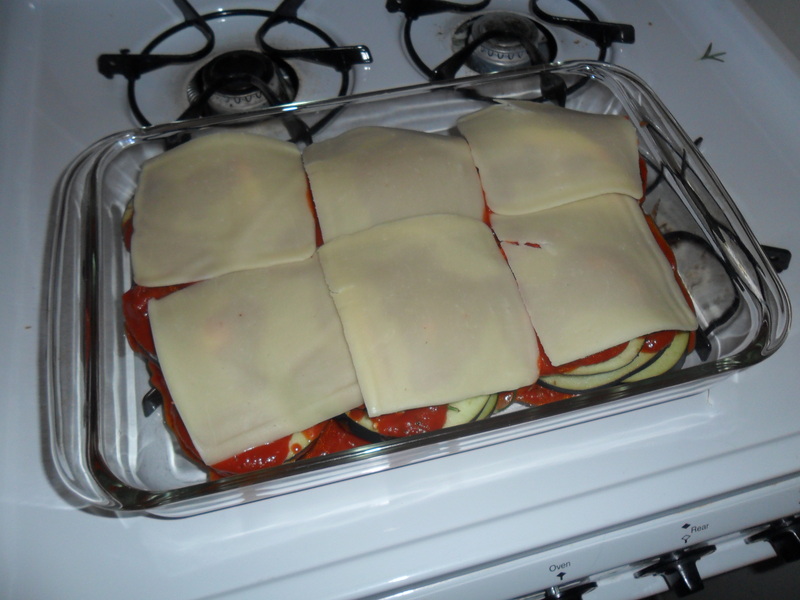 Then I went to town with some layering. 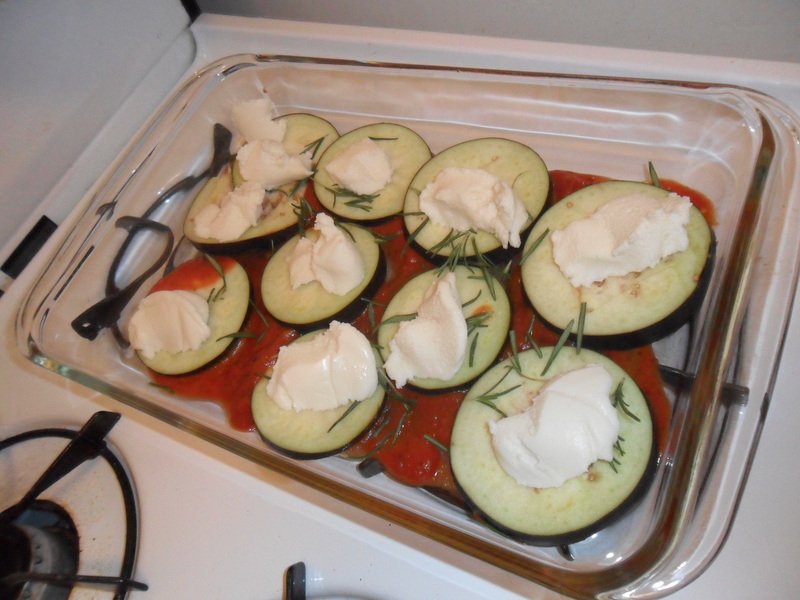 First tomato sauce, then eggplant, ricotta, and herbs. A coworker has a very active herb garden at home and was kind enough to bring in extras. 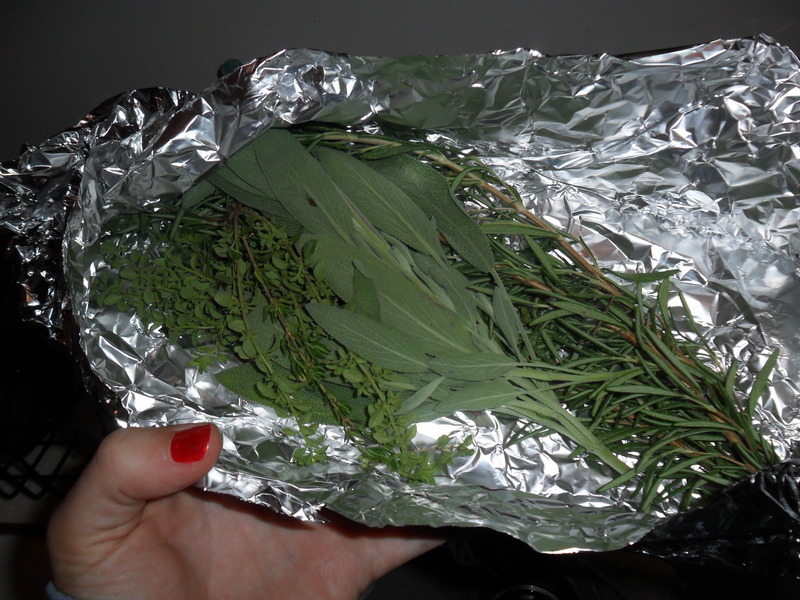 I scored a big tinfoil packet of fresh rosemary and thyme. Repeat until you’re out of everything. 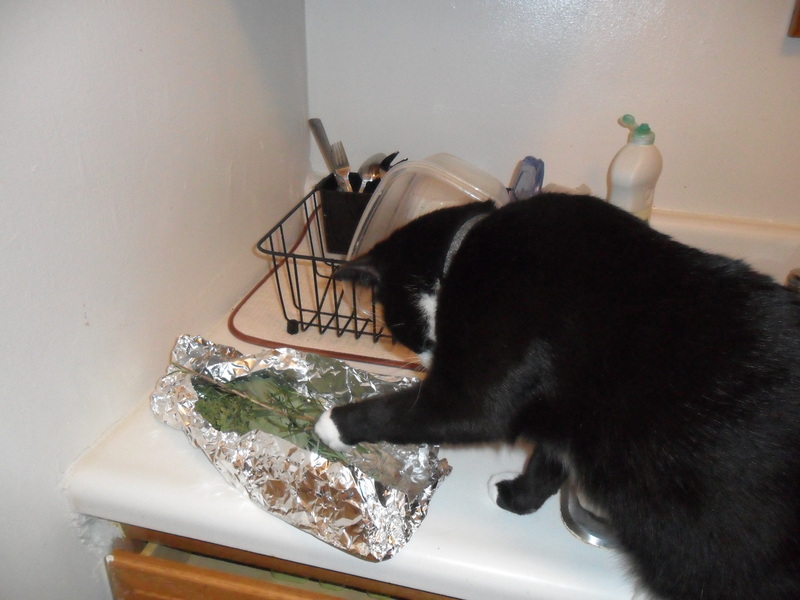 Top with delicious amounts of cheese, and don’t forget to protect your herbs from the cat. 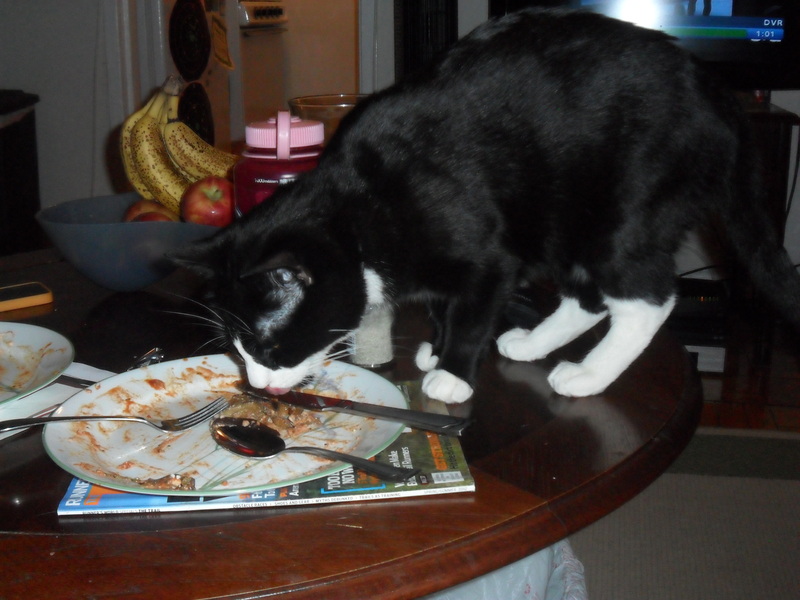 My mother is going to cringe when she sees that picture (Hi Mom! ).